Located in the heart of Sofia, By The Way is an essential part of the city’s lifestyle. By The Way opened in 2001 in the heart of Sofia. Ever since we are serving both quality interpretations of classic cocktails and quality food. The bar is a favourite place for locals - either for the morning coffee with croissant or the casual evening gathering with friends. Follow our page in order to stay informed for upcoming events. We are in the process of planning our next exciting activities. Join us for an exciting night with the first event of the Side by side series. It’s a retrospective cocktail night event remembering our 18 years journey through cocktail culture in Bulgaria. The first bartender guest will be Dimitar Dimitrov - our bar manager. Join us for an exciting night with the second event of the Side by side series. It’s a retrospective cocktail night event remembering our 18 years journey through cocktail culture in Bulgaria. The first bartender guest will be Pavel Pamukchiev from Travel Cocktails. Join us for an exciting night with our new cocktails menu inspired by the season. Try our special signature cocktail. By The Way Lozenets opened in the summer of 2003 and ever since we're making new friends there every season. Here you can enjoy your beloved cocktails and meals of our Sofia location. Or you can just drop by for a coffee on your way to the Lozenets’s beach. Make sure you won’t miss our opening party in the beginning of the summer! Find us at Georgi Kondolov Str. Why not try one of our fellow bars? Fellow bar situated on Shishman Str. 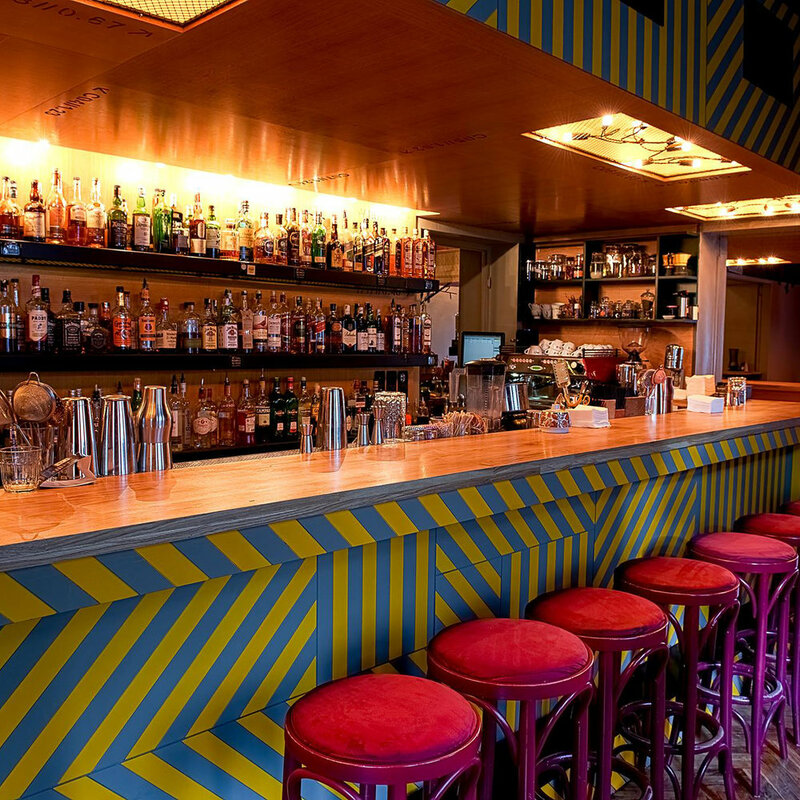 One More Bar is famous for its hospitality and creatively curated cocktails. The bar is the first to serve organic and vegan cocktails on the market. Set in the heart of Sofia city, The Cocktail Bar focuses on good cocktails. The elegant and refined interior will get you back to the golden days of bar experience. Here you can enjoy your drink in the retro space inspired atmosphere of a fine cocktail bar.